Style Colors Palette 3 © Wall&decò. When Christian Benini was working as an advertising photographer and he came up with the idea to use a background printed with huge green leaves for his sets, he didn't realize that he had actually used necessity to create an innovation in the design world. 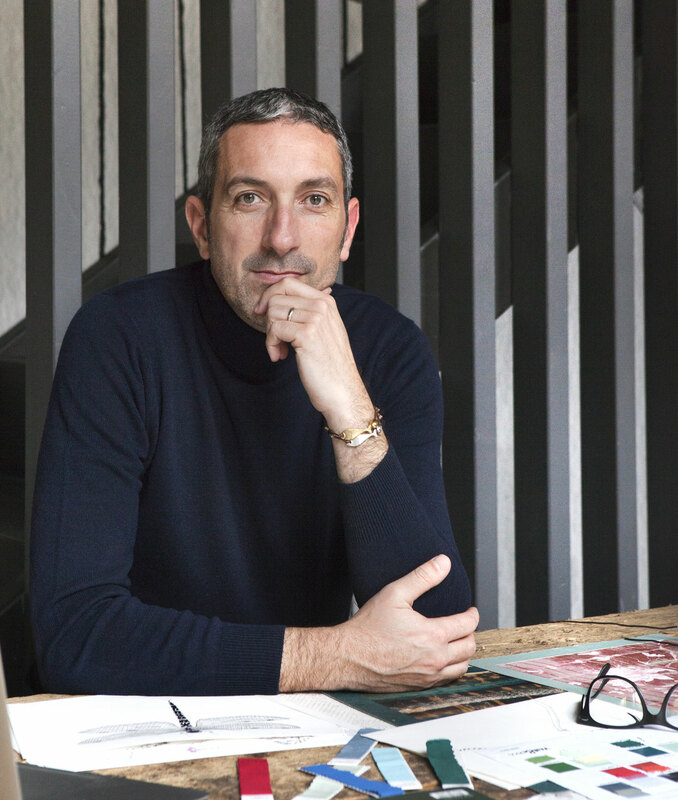 Fast forward to today and Christian is the founder and creative director of Wall&decò, the Italian company that was born twelve years ago out of that innovation and has spanned the globe, one roll of mesmerizing wallpaper at a time. "I've never perceived our coverings as simple wallpaper, but rather as real furnishing accessories with the same value as, for example, a sofa or console," Christian tells Yatzer. 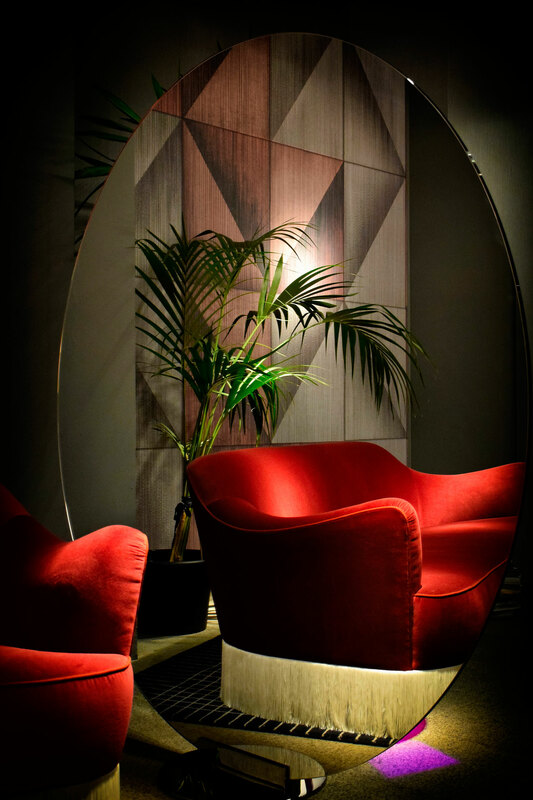 In truth, there is nothing remotely "simple" about Wall&decò's decadent offerings as one sample seems to feel and look more luxurious, enthralling and desirable than the last. After all, it is the walls of a building that hold it up architecturally, so it seems only fitting that what is placed on these walls actually shapes the building's interiors design-wise and gives them their character. 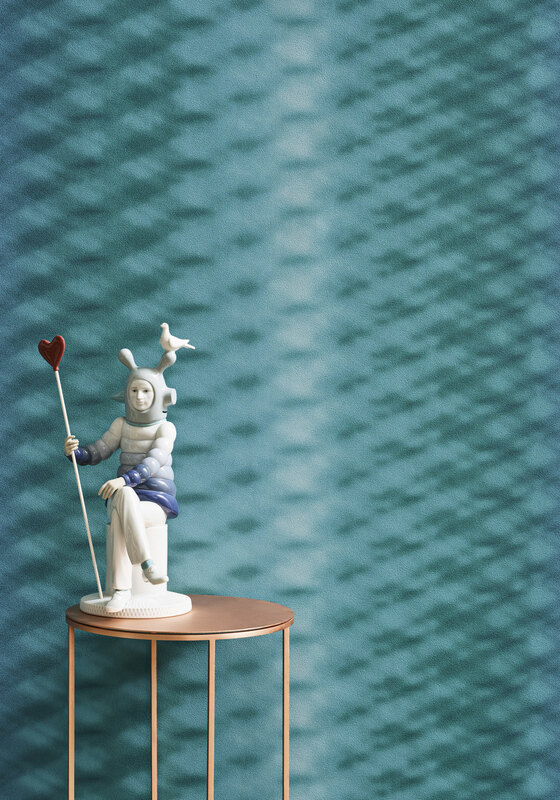 Herodio Wallpaper designed by T. Guerra for the Contemporary Collection 2017 © Wall&decò. 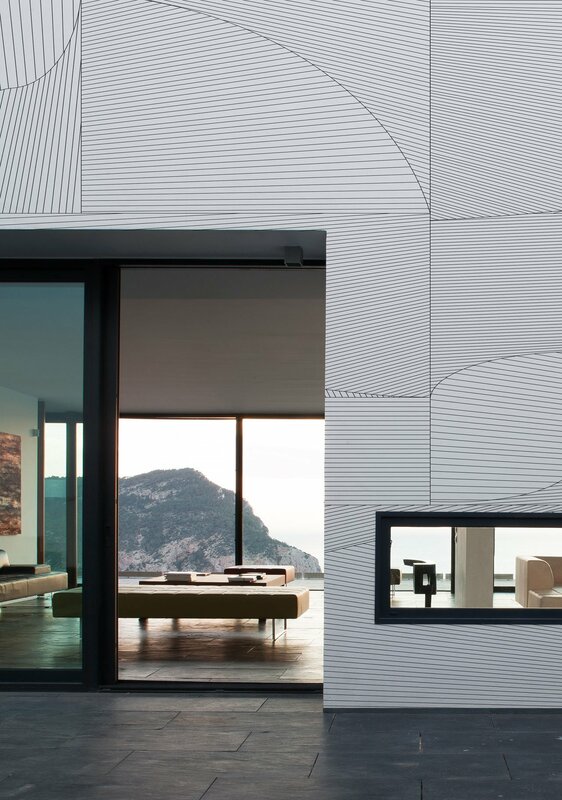 Impressively, there are five sophisticated collections within the Wall&decò family, each with its own unique design fingerprint as well as its own intended use. 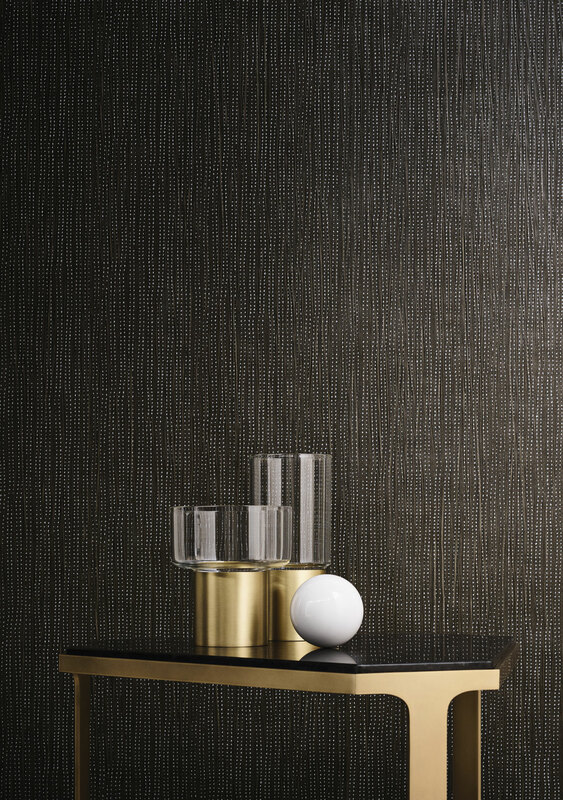 To start, the Contemporary Wallpaper collection is a beautifully crafted line of non-woven textile wallpaper with a vinyl surface layer made for indoor settings. It boasts a wide spectrum of wonderfully indulgent designs as diverse as the Night Vision pattern's rambling flora which seemingly bursts through a wall; or the graphic, geometric pattern, Metropolis, fusing the room that it wraps with urban pizzazz and glamour. Then there's the OUT SYSTEM™ which is the collection that was created for external walls and facades. Other than being profusely decorative, this collection has the added value of actually becoming a structural element and reinforcing the walls of the buildings that it's adhered to. 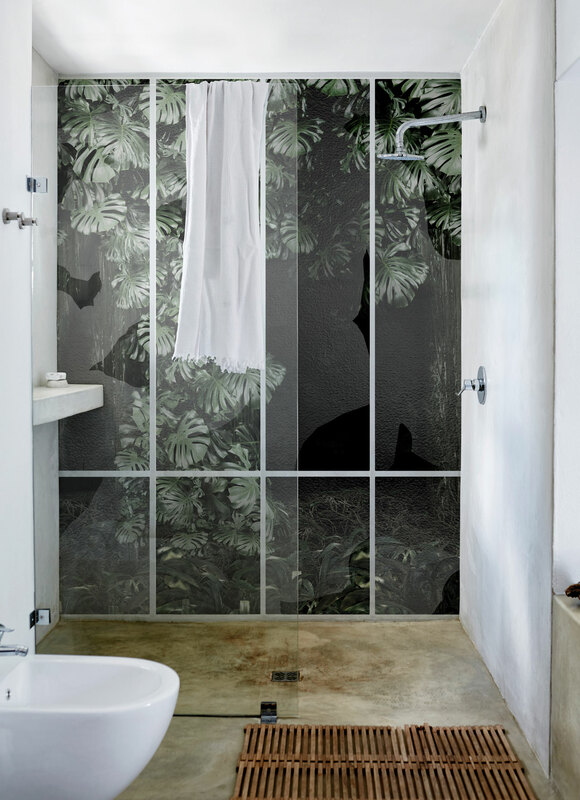 In the same vein, the WET SYSTEM™ is a collection that is totally waterproof; patented in 2013, this wallpaper boasts an ingenious layering system of primer, glue, printed fiberglass and protective finishes, strong enough to enhance the walls of the wettest of spaces, such as bathrooms and showers. "Both systems [the OUT and WET] have taken us years to research and develop," Christian shares. "Our idea was to try to develop the high decorative value of our coverings for completely new and unexplored uses." Style Colors Palette 1 & Essential Wallpaper © Wall&decò. 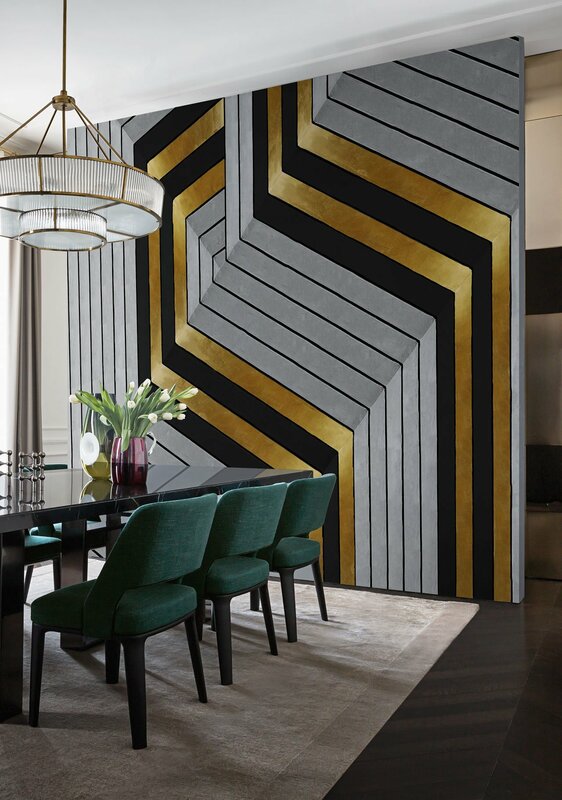 The two newest pioneering collections in the Wall&decò family are the impressive 3D "Essential Wallpaper" collection - think detailed designs boasting tactile micro engravings and special touches such as gold foil and textile finishes - and the Style Colors, a line of rich, premium paints that were designed to enhance and complement the total Wall&decò "experience." Christian goes on to share a couple of artisanal secrets when he tells us that the Contemporary Collection, the Wet System and the Out System collections are all crafted using the latest generation of printing plotters in order to achieve excellent quality digital printing on both vinyl as well as fiberglass. Meanwhile, engraved cylinder printers are used for the Essential Collection in order to create a bas-relief and material effect. Other than eye-catching designs, impeccable quality, and advanced craftsmanship, the common denominator between all of these Systems is that each roll of wallpaper literally has the ability to transform even the simplest of spaces - indoors and outdoors - into creative arenas where the imagination and reality of its residents collide to almost storybook effect. 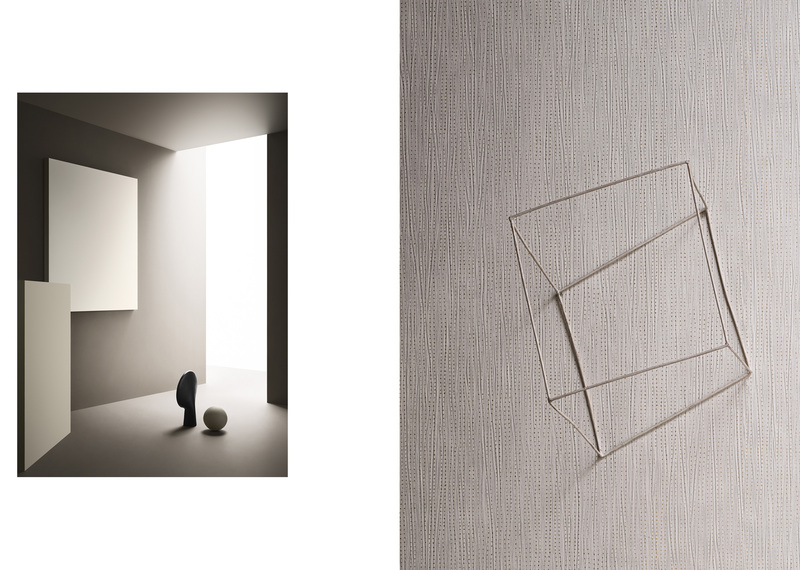 FLO Wallpaper designed by De Meo + De Bona for the OUT SYSTEM™ Collection © Wall&decò. 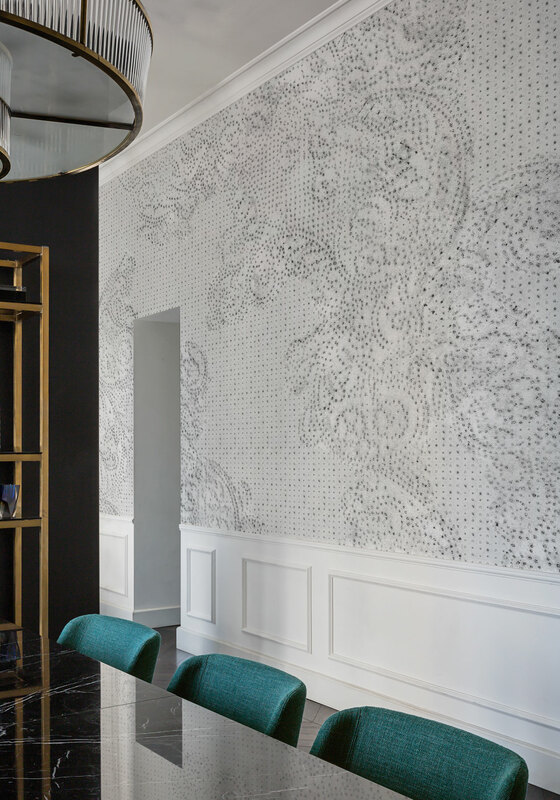 Mediterranean marks Wallpaper designed by Talva Design for the Contemporary Collection 2017 © Wall&decò. 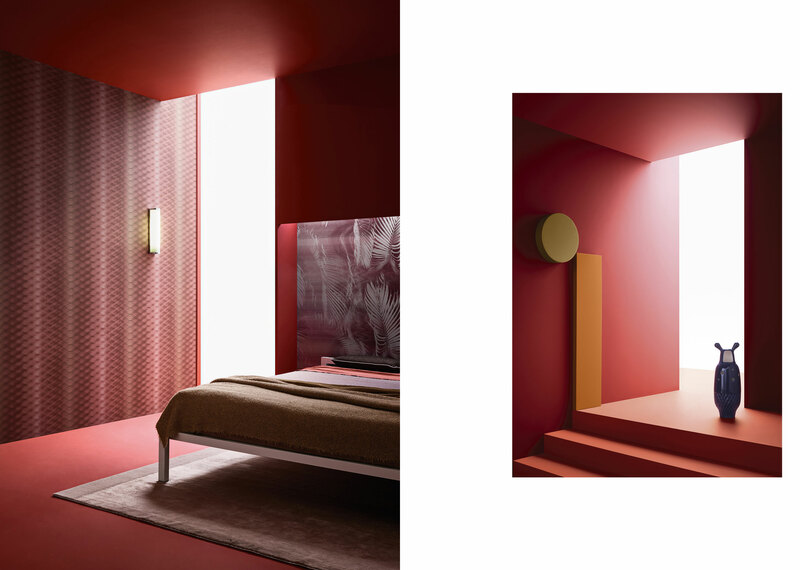 Essential Wallpaper & Style Colors Palette 4 © Wall&decò. Installation view of Wall&decò Contemporary Wallpaper Collection at Spazio Pontaccio in Milan, March 2017. Photo © Piergiorgio Fasoli. 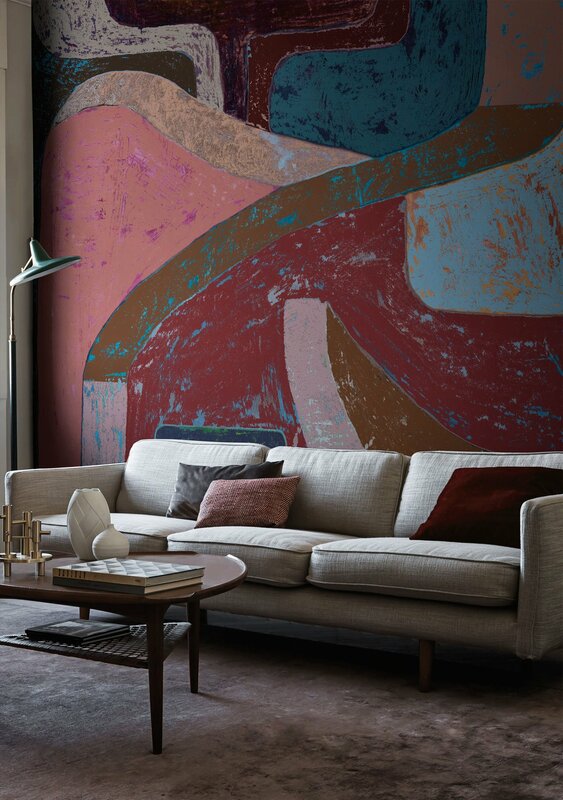 One needs to simply take a look at the images from Wall&decò's most recent Contemporary Wallpaper catalogue to - not only desire an immediate and complete redecoration of one's home! - but to be drawn into the indulgent narratives of the collection which Christian tells us was influenced by the Seventies. "[It is] seen through the elegance of serene hues such as cream, ivory, beige and grey, supporting a linearity subtly reminiscent of Art Deco, for luminous and precious graphics, interpreted by an elegance which is never strident. Emphasis is on material, refined at a graphic level with vague tropical hints, lightened to soften hard lines typical of that particular decade," as Christian shares with us. In truth, the warm lighting of the impeccably styled rooms featured in the images perfectly describe a covetous, luxurious lifestyle and play homage to the special spaces where the Wall&decò collection finds itself most at home. 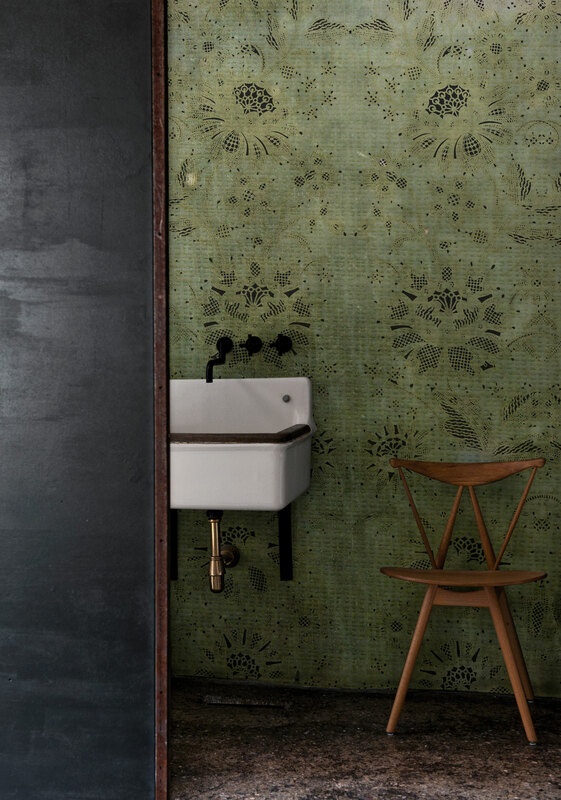 Carillon Wallpaper designed by CASA 1796 for the WET SYSTEM™ Collection © Wall&decò. Essential Wallpaper & Style Colors Palette 3 © Wall&decò. 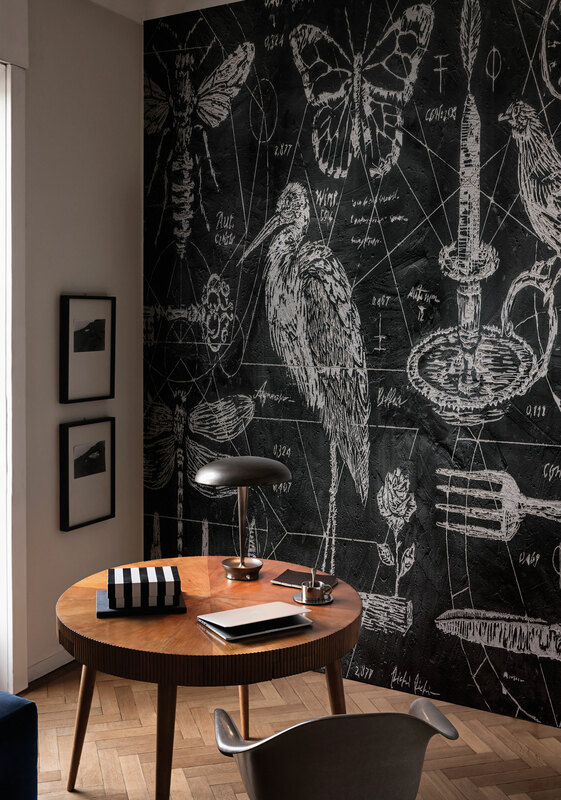 Conservatory Wallpaper designed by RAW for the WET SYSTEM™ Collection © Wall&decò. Installation view of Wall&decò Essential Wallpaper Collection at Spazio Pontaccio in Milan, March 2017. Photo © Piergiorgio Fasoli. The wide array of the various designs, styles and focuses are the results of a twenty-five strong team of designers that Wall&decò collaborates with, people renowned in the design world such as CTRLZAK, Lorenzo De Grandis, Antonio Marras, and Silvia Stella Osella, among many other talents. Some of these creatives Christian knew prior to their collaboration while others were contacted specifically to design for the company. "They all have very different training backgrounds and different skill sets: some are designers, while others are illustrators, fashion designers and architects," he says. "This ensures variety and different creative results – but results that are also consistent because they are developed based on my initial input." And Christian's input is the central thread running through each of the wallpapers on offer; for all designers are given a brief concerning the styles and colors Christian would like them to explore for any given collection. And as for the creative names given to the wallpapers - think Aenigmatica, Bolshoi, Golden Hook, and Rat Pack - "Some describe the graphics, while others are more abstract," Christian says simply. "The senses simply can't be trusted when the eyes are intoxicated at the sight of rich color ways, fingers lose their direction through winding paths, and ears are deceived by the mysterious sounds that accompany the journey. Crinkled and smooth. Matte and shine. What lies behind such tactile sensations? The answer is twofold, and is hidden within the two new interior propositions by Wall&decò - Style Color paints and Essential Wallpapers - each of which is capable of luring even the most demanding observer into becoming entirely captivated by their magic spell..[...]"
Yatzertip: Be sure to visit Spazio Pontaccio in Milan to view the special Wall&decò installation which shall be on display until March 30th, 2017! 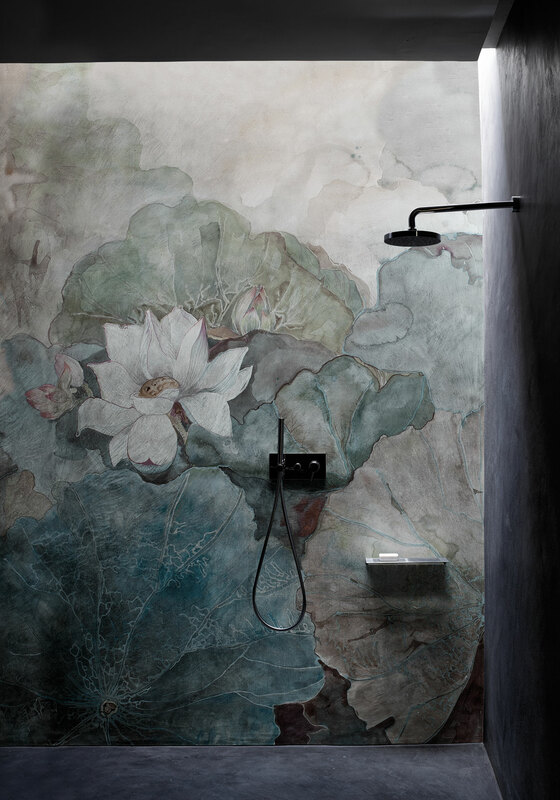 Niveum Wallpaper designed by Eva Germani for the WET SYSTEM™ Collection © Wall&decò. Essential Wallpaper Collection (detail). Photo © Wall&decò. 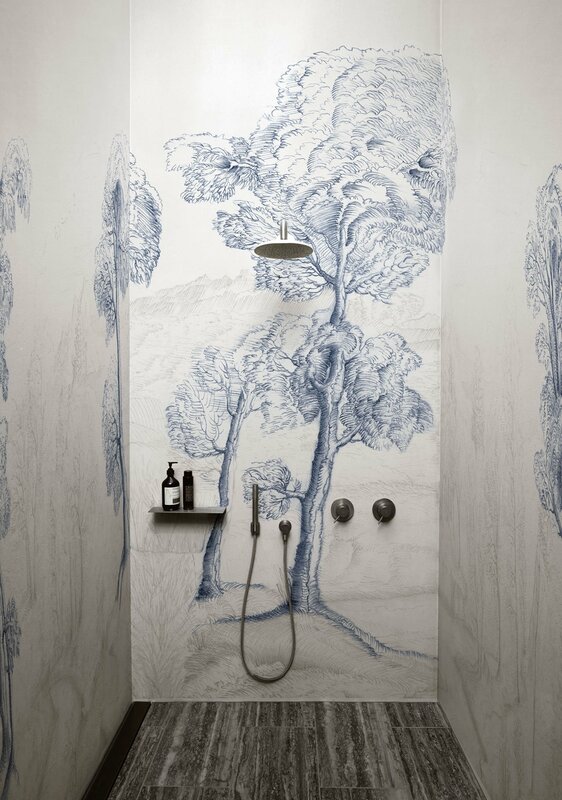 Inner Forest Wallpaper designed by Gunilla Zamboni for the WET SYSTEM™ Collection © Wall&decò. 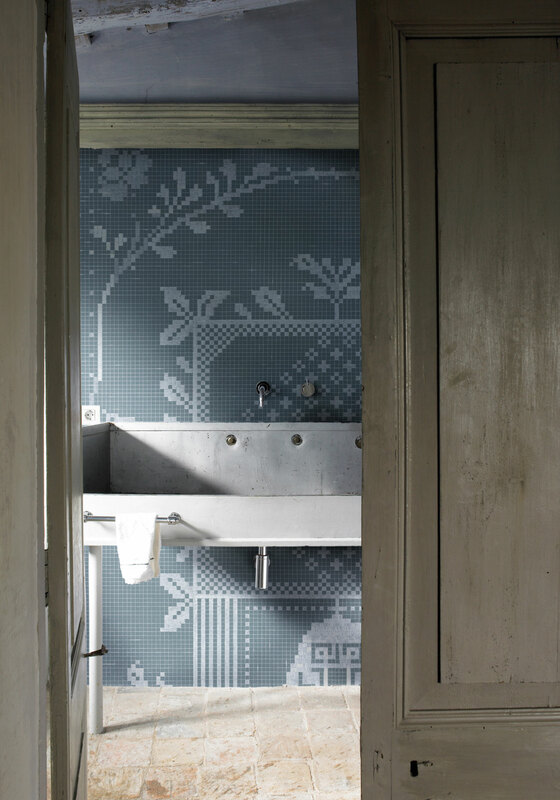 Pixie Wallpaper designed by Gunilla Zamboni for the WET SYSTEM™ Collection © Wall&decò. House is my dress Wallpaper (detail) designed by E. Germani for the Contemporary Collection 2017 © Wall&decò. Golden Hook Wallpaper designed by C. Benini for the Contemporary Collection 2017 © Wall&decò. 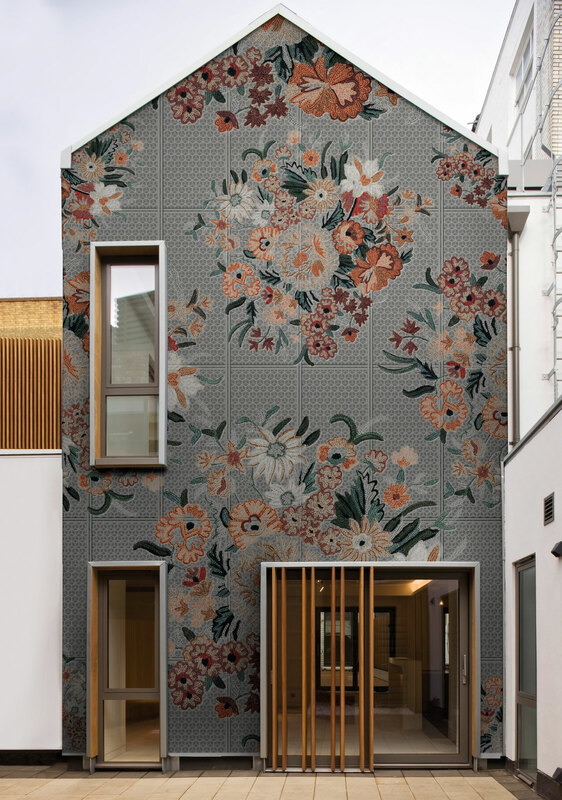 I've never perceived our coverings as simple wallpaper, but rather as real furnishing accessories with the same value as, for example, a sofa or console. 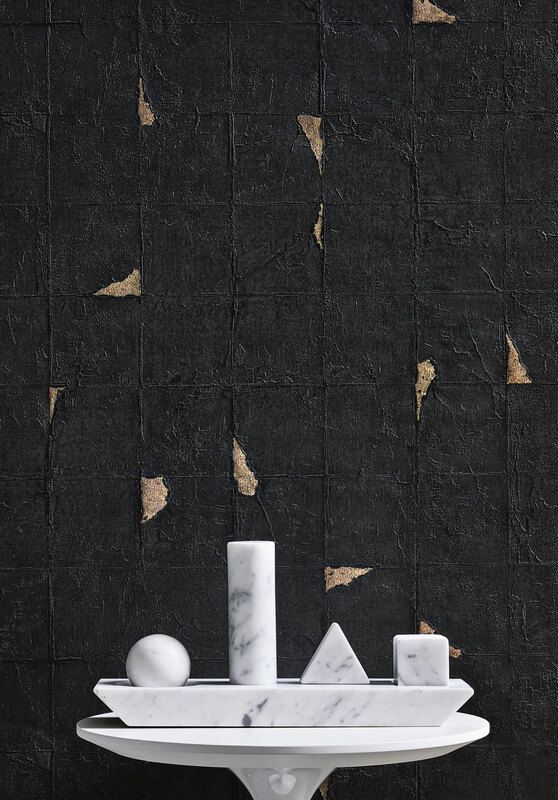 Teka-Teki Wallpaper designed by De Meo + De Bona for the OUT SYSTEM™ Collection © Wall&decò. Spolvero Wallpaper designed by F. Zoboli for the Contemporary Collection 2017 © Wall&decò.